Are you a creative that enjoys working with her hands, a fashionista or enjoy interior decorating? Did you know that you could possibly be making money with your creativity? In today’s Feature Friday series, we have the pleasure of interviewing Veronica, a work at home mom and owner of In Veronica’s Corner, who will be telling us how she makes a living from home. 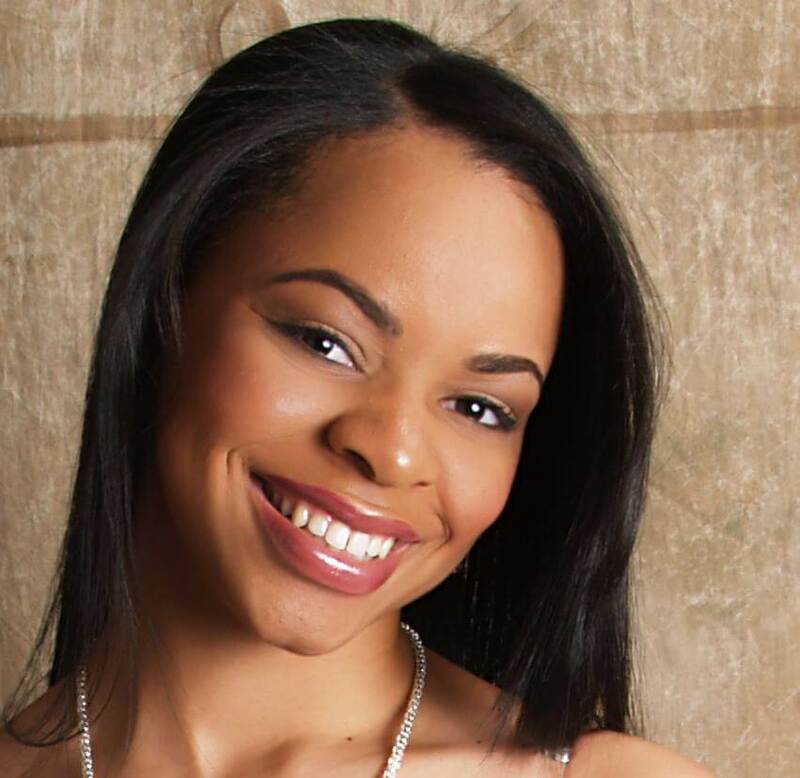 If you’ve been thinking, “what can I possibly do to earn money from home using what I’m passionate about?”, read her story. Hi I’m Veronica! I am a fun-loving Corporate Operations Manager turned Stay at Home Mom who loves sharing my Home Décor DIY and Parenthood Life Hacks. I believe in being happy and spreading happiness. In that same vein, I started In Veronica’s Corner. 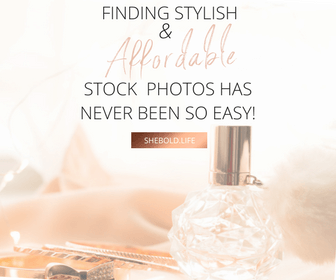 I love my online E-Interior Decorating business as well as sharing my shortcuts to success to help others achieve their home and life goals with my Blog to Biz University. Would you consider yourself an introvert or extrovert? Why? I am an introvert in my personal life and an extrovert in my business. So, I’m a chameleon, and meet somewhere in the middle. lol I learn well through observation and am usually quiet and reserved in large groups or around unfamiliar people in my personal life. At the same time, I don’t mind being the center of attention, seek others and outside sources for ideas and inspiration in my professional life. Tell us about your products/services? How did you come about this idea? How did you begin? 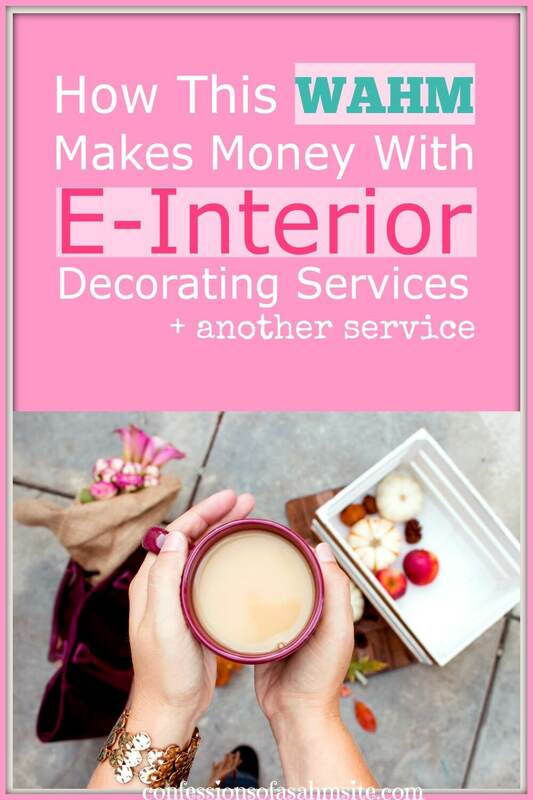 I offer E- Interior Decorating Services where my client is able to see new home decor and/or paint looks like in their actual space before buying anything. They send me pictures of their current room as is, and I send them a complete room transformation designed with their personal style (i.e. Classic/Traditional, Contemporary, Modern, Eclectic) and budget. Product links to purchase items are included in their package. See the packages for more details. I also offer a Blog to Biz University which is a one stop shop where I share exactly what I did to create a profitable, sponsored blog platform for my online business, go from 0 to a 10,000+ social media following, host product giveaways that get high traffic and convert, as well as, successfully marketing my E-Interior Decorating. Everything using mostly free platforms and spending the least amount of money as possible. Check out the Blog to Biz University for more details. Did you have startup costs? What were your startup costs? If you recall. Did you self-teach, took courses or learned from someone else? I am self-taught. I did a lot of research before starting my blog/biz. How do you come up with the many different pieces/services? I conduct thorough market research to make sure if I offer a product/services there is a target market ready to buy. For many that are thinking of becoming entrepreneurs, what advice would you give them? What I had and what you need to be a successful entrepreneur is a strong desire, discipline, and perseverance to change your life, and do something your passionate about. I schedule everything on my calendar including things I need to do in my personal life. That keeps me balanced, and making sure I spend time with my family. Any additional comments or advice? When I started just 4 months ago I had absolutely no experience in creating websites, blogging, creating high converting marketing images, or growing a social media following (I was only on Facebook with less than 100 followers lol). I was a Supply Chain Operations Manager for a Fortune 500 company wanting to be a Stay at Home Mom while making money on the side. As I mentioned earlier, what I had and what you need to be successful fast is a strong desire, discipline, and perseverance to change your life, and do something you’re passionate about. 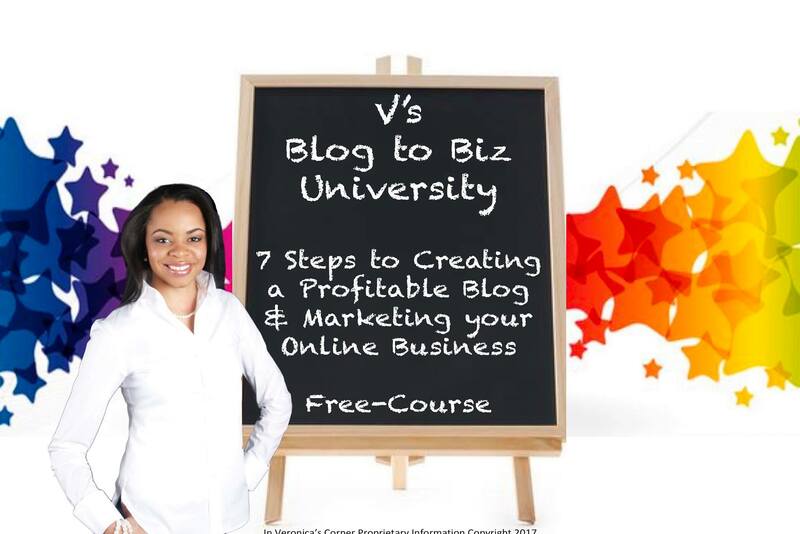 If you’re serious ready to start making real money online, I encourage you to enroll in my V’s Blog to Biz University. It is a 1 stop shop information vault to help you create a profitable blog/business. By enrolling you have an advantage as you get to skip all the research/trial & error I experienced, and have access to me to help you every step of the way. Early Bird Registration is going on now at In Veronica’s Corner. As you can see, being an interior decorator doesn’t necessary mean you will be meeting potential clients in person. You might be providing a service to someone that is outside the United States or your next door neighbor. Whatever you’re passionate about, don’t let anything hold you back. Not even distance! If you’re like me that doesn’t have any creative decorating juices, then make sure to contact Veronica to provide you with her one on one consultation. P.S. What do you struggle with decorating the most? Your bedroom, living room, dining room or the entire house? If you are an entrepreneur and would like to get featured, please send me an email at confessions@confessionsofasahmsite.com for details. Read about other entrepreneurs here. Veronica is offering a 30% OFF DISCOUNT on all E-Interior Decorating Services valid until Saturday, February 25th so don’t miss out and head on over to In Veronica’s Corner. 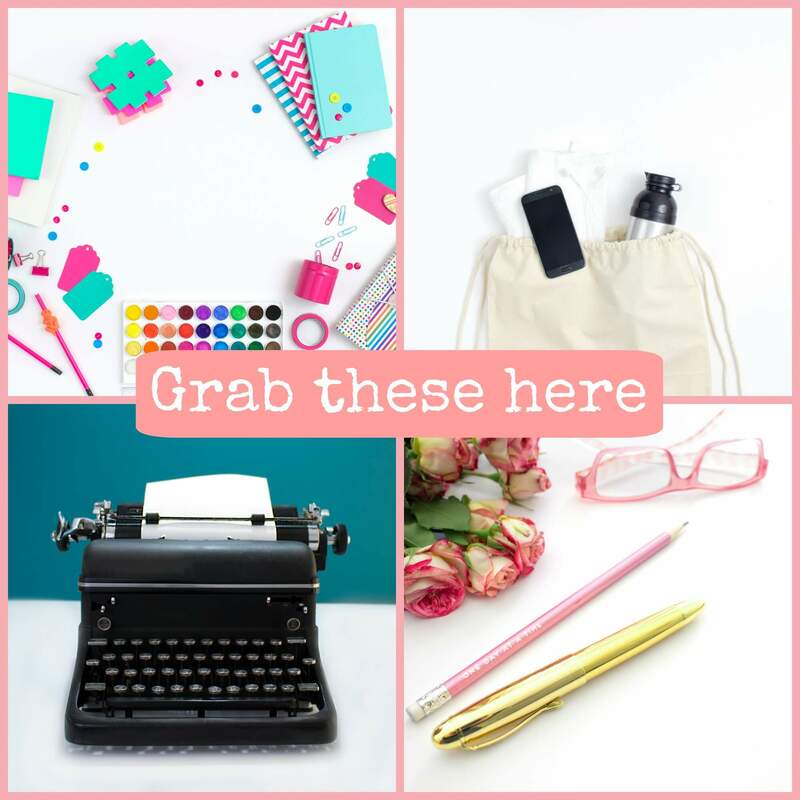 *This post may contain affiliate links or ads and I’ll earn a small commission if you shop through them. My family and I will greatly appreciate this as this is how we help provide income to our household so we can continue bringing you amazing content. Excellent post! Wow! You are so committed and accomplished alot such a short time. This is so inspiring for anyone that wants to become an entrepreneur, or like me continue in the entrepreneur world. This is especially motivating for anyone making a transition from corporate to a home based business. I am excited and enrolled in Biz University! Yes, Veronica is inspiring to all those thinking about becoming an entrepreneur or still going strong while being an entrepreneur. How exciting that you are enrolled in Biz University! This was such a good post! I am an introvert as well and an extrovert when it comes to blogging lol. I love learning new ways to make income.